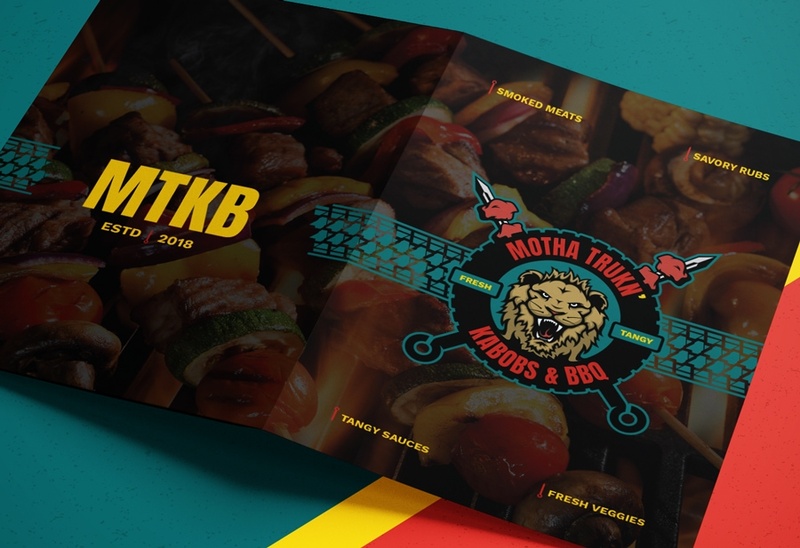 Motha Trukn’ Kabobs & BBQ is a local eatery in Gary, Indiana which provides a fresh and tangy dining pit stop, through a bold and flavorsome manner, refueling the many truckers coming in off the Interstate with smoked meats, savory rubs, and the freshest ingredients; leaving them ready to hit the road again. 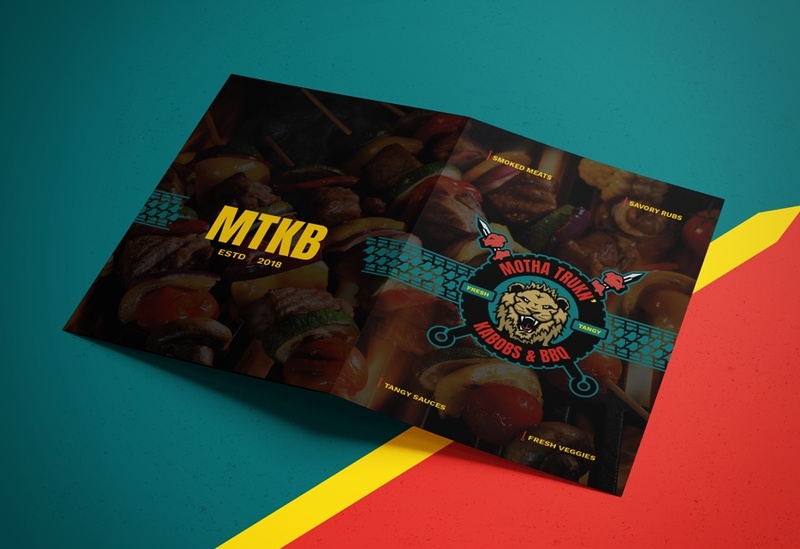 Located right off Interstate 80/94 in a newly renovated semi-truck trailer, MTKB has found an interesting niche with the hundreds of semi-truck drivers who frequent the area to rest and refuel along their highway journey. 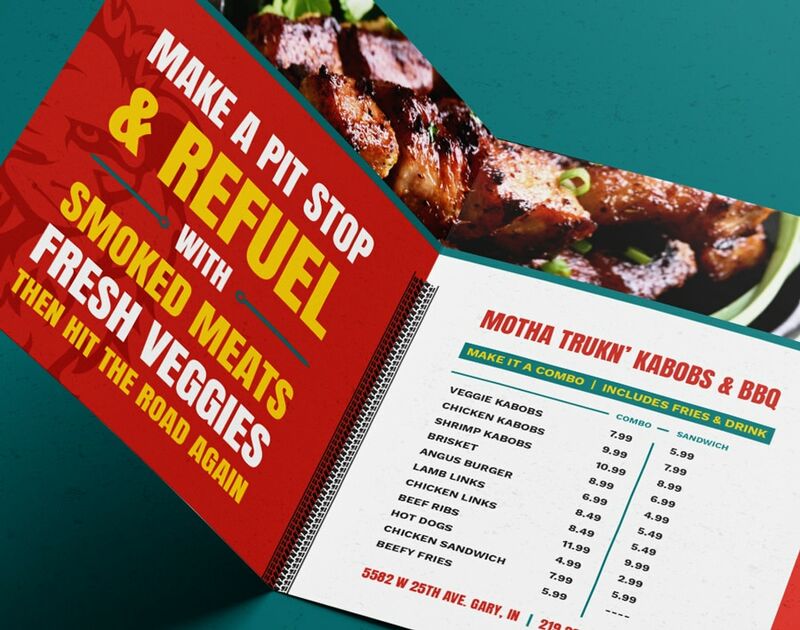 Our driving inspiration came from the hungry truckers’ large appetites, gritty roads, a few expletives, and of course some Motha Trukn’ savory BBQ. 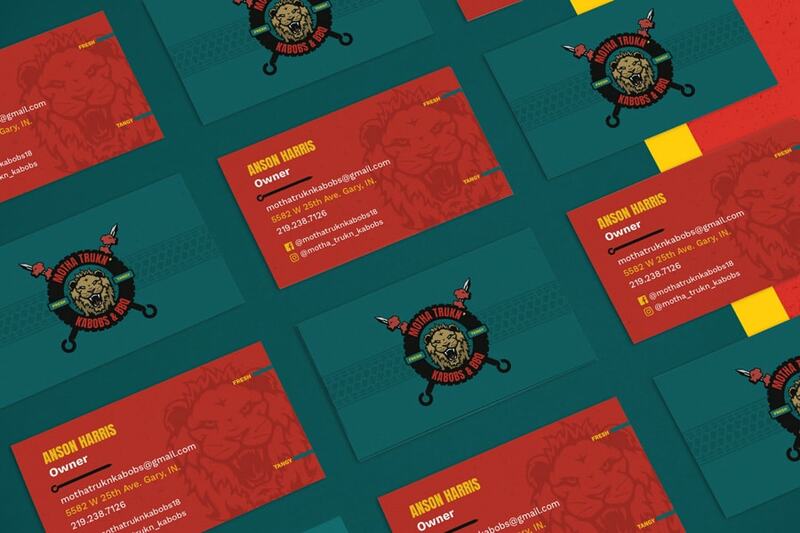 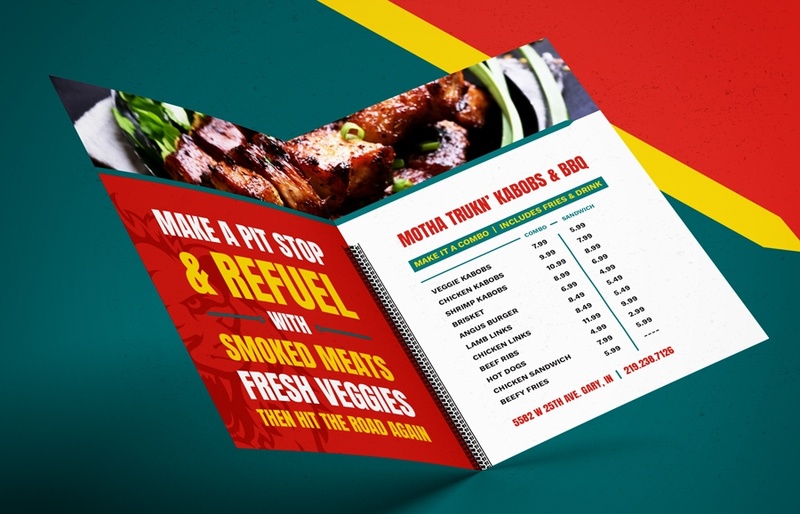 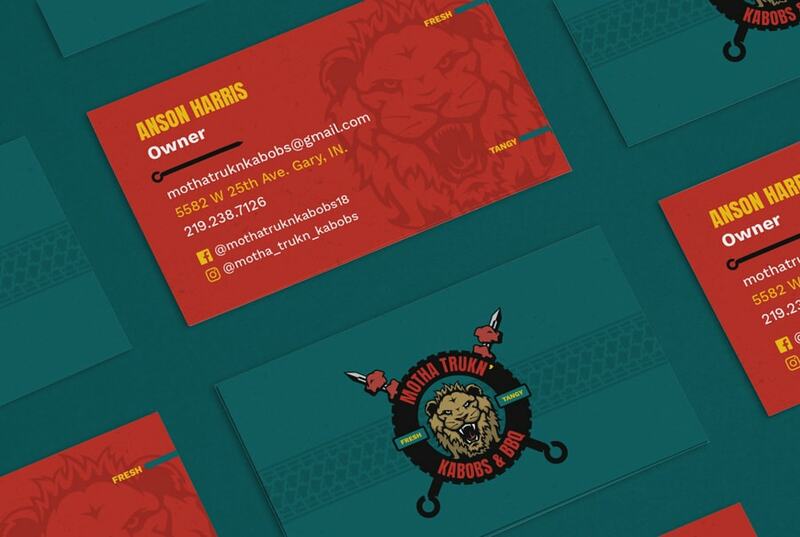 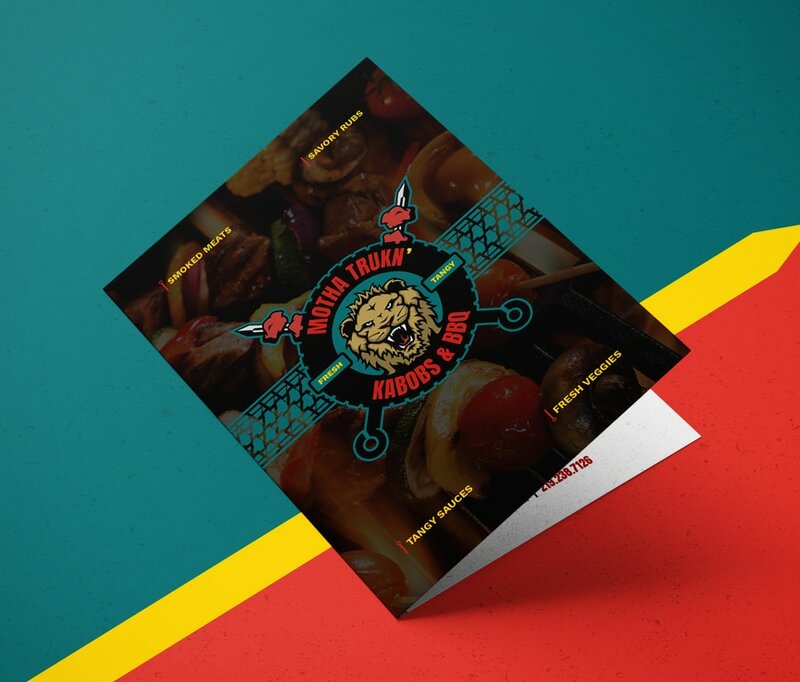 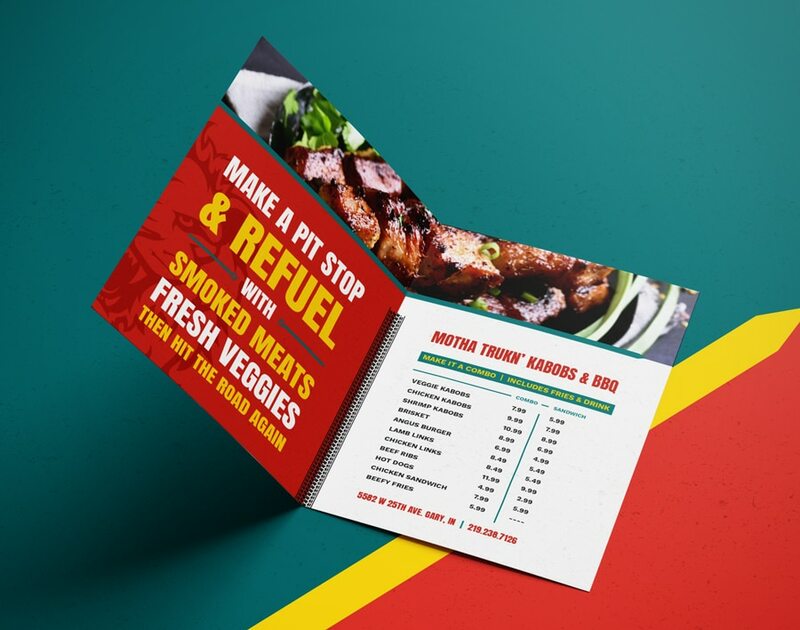 Once seasoned and BBQ’d to perfection, the brand identity embodies a hungry lion logo, colorful business cards, engaging social media advertisements, and a captivating restaurant menu.